About 16,000 tons of steel reinforcement has also been placed, just over twice the weight of the Eiffel Tower. 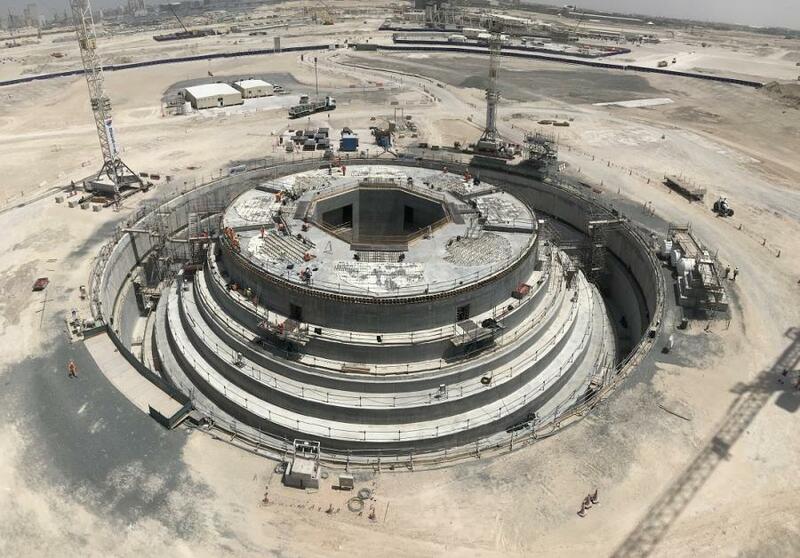 Dubai Creek Tower, the global icon in the heart of the six-square-kilometer Dubai Creek Harbour, has completed concrete placement for the pile cap two months ahead of scheduled completion. The concrete pouring commenced in September 2017 and reached over 50 percent completion in January 2018. 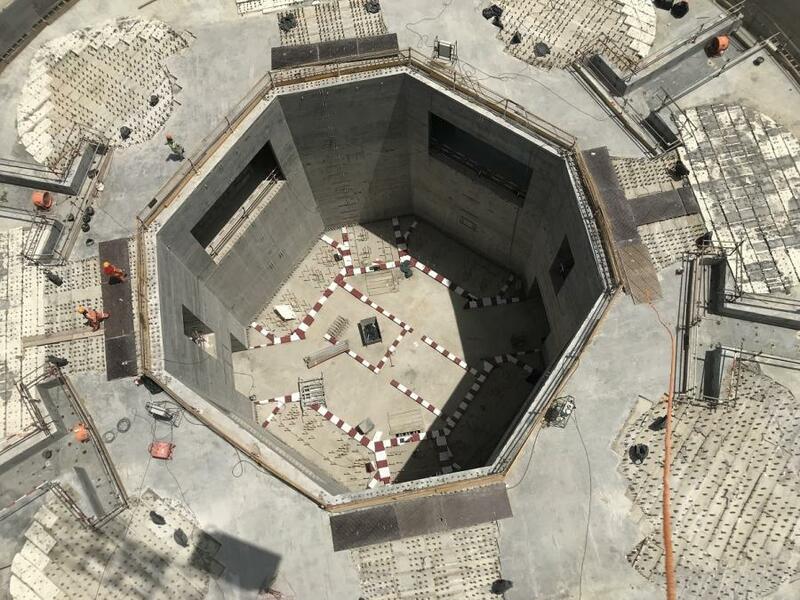 Dubai Creek Tower's pile cap is a 20-meter-thick multi-layered, tiered reinforced concrete top that covers and transfers the load to the foundation barrettes. With this milestone, 50,000-cu.-meters of concrete have been poured weighing about 120,000 tons, equivalent to the weight of the CN Tower in Canada. About 16,000 tons of steel reinforcement has also been placed, just over twice the weight of the Eiffel Tower. In October 2016, His Highness Sheikh Mohammed marked the groundbreaking of the tower, with the foundation work accomplished in record time. The tower's 145 barrette piles were tested to a world record load of 36,000 tons and laid 72 meters deep to firmly secure the super structure. Over 450 skilled professionals from across the world are working on-site, highlighting the global collaboration that marks the construction of the iconic structure. Designed by Spanish/Swiss architect and engineer Santiago Calatrava Valls, Dubai Creek Tower will feature several observation decks such as the Pinnacle Room and VIP Observation Garden Decks.